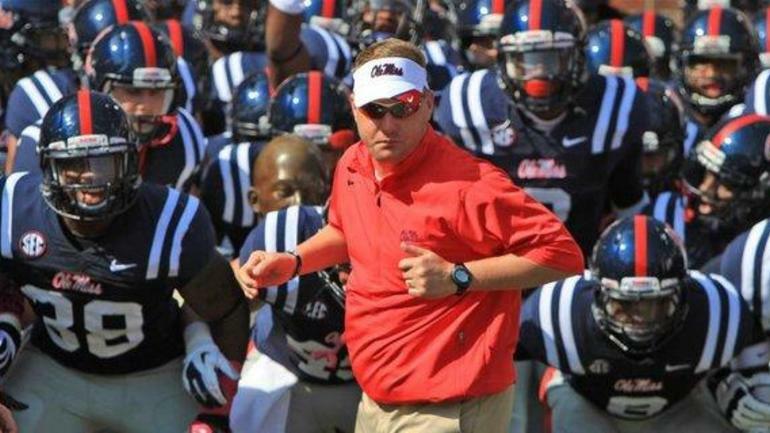 Former Ole Miss head coach Hugh Freeze has been out of football for the better part of the last two years. But he could be on the verge of returning to the SEC. 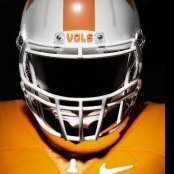 According to Nashville radio personality Darren McFarland, the Tennessee Volunteers have targeted Freeze as their next offensive coordinator. McFarland did note that Tennessee might have some obstacles to overcome in their efforts to sign Freeze. However, he added that Freeze is, in fact, the leading candidate for the job. Freeze led the Rebels to four straight winning seasons in his stint with the team. He resigned after the 2016 season, during which the Rebels went 5-7. One of Freeze’s more unique accomplishments – and one that any SEC team might gush over – is that he is one of only a handful of coaches to have wins over Nick Saban in back-to-back years (along with Les Miles, Steve Spurrier, and Lloyd Carr). Freeze’s Ole Miss Rebels beat the Alabama Crimson Tide in 2014 and 2015. The Rebels were the only team to beat Alabama in 2015 as the Crimson Tide went on to win the national championship that season. I am being told that the No. 1 target for the #Vols as their next OC is Hugh Freeze but there may be some hoops to jump through. But he is the leader in the clubhouse. I just don't see it happening. If Saban couldn't get the SEC to sign off not real sure what we could do. Honestly I don't see it happening either. I am not worried about the whole issue he had with Ole Miss. Honestly no one is perfect and who knows the entire story. Not saying he was innocent either just saying that isn't an issue for me. He would be great for Tennessee from an offensive perspective. I think Pruitt is so hands on though Freeze couldn't get away with crap if he tried. But I think Fulmer believes in perception and the stigma that would go along with Freeze might be too much for him. I think it will be a someone with direct or even indirect ties with Fulmer or Pruitt. Honestly I don't see it happening either. I am not worried about the whole issue he had with Ole Miss. Honestly no one is perfect and who knows the entire story. Not saying he was innocent either just saying that isn't an issue for me. He would be great for Tennessee from an offensive perspective. I think Pruitt is so hands on though Freeze couldn't get away with crap if he tried. But I think Fulmer believes in perception and the stigma that would go along with Freeze might be too much for him. 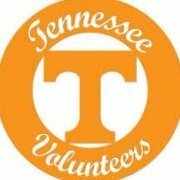 I think it will be a someone with direct or even indirect ties with Fulm﻿er or Pruitt. Goodness, I would love that a few years back. Not now. Age is catching up on him. He's doing good keeping Duke respectable. Ehhh you young whippersnappers always trying to write us old timers off. Cutcliffe & I were born 2 months apart and I still figure I've got some good years left. I walk 3 miles a day every day. I know he had bypass surgery about 10 years ago but he seems spry enough to coach. Anyway, I expect he'll stay at Duke until he's ready to retire but it's a nice thought. P.S. Rick Barnes is our age too. Just sayin'. But I would think the stress at that age and the responsibilities would cause his life to be much more stressful.. Whippersnapper? Brice is saying he is hearing he(Freeze) is still in the mix as a "maybe". I trust him more than anything coming out these other guys mouths. Also Chip Lindsey. Old acquaintance of Pruitt which is not what I want to hear. Not a fan of the guy honestly. They both were at Hoover back in the day. Frankly I don't care who everyone thinks it is or not. Some of the most dumb crap is being posted in these social media groups. I finally dropped out of them. I cannot read some of that garbage. I don't care who it is as long as it is someone who can implement a consistent offense style with a good mix of run and pass and get out of this idiotic spread and read RPO crap. I know it is the big thing. oh well. I hate it. I want to see some good pro set and physical offensive play. If it has to be more of this fad based RPO / spread type then yes I would prefer a Freeze type. I am not the moral police. I leave the job of making sure assistant coaches are managed by the head coach. So Freeze screwed up. We don't know how others may have screwed up and never been caught. fans cannot be the moral police. It is a wasted effort. Hugh Freeze is one of several play-callers in the mix at Tennessee, according to ESPN. They better as hell make this call soon. Don't forget early signing period. <------ This is me whistling "It's beginning to look alot like Christmas!" It would be interesting mix. Pruitt focused on the D and freeze on the O. Still not convinced based on Tennessee's rep for setting but if it happens, watch out.